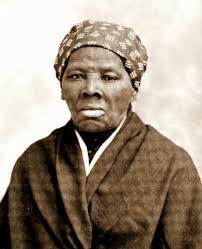 Home Blog Was It Politically Correct to Choose Harriet Tubman for the $20 Bill? Beginning in 2020, Harriet Tubman will be the new face of the $2o bill. She’ll replace Andrew Jackson, who will then appear on the back of the bill. That was announced April 20 by the U.S. Treasury. Since the announcement was made, there has been an avalanche of headlines, both pro and con regarding the choice. Some of those headlines have tossed the choice off as a mere act of political correctness. Perhaps it was. But if that’s the case, it may have backfired. Let’s look at the facts. . True: Harriet Tubman was a black woman, becoming the first African-American to appear on U.S. currency. True: Harriet Tubman was a slave turned anti-slavery activist who risked her life to lead more than 1000 slaves to freedom along the Underground Railroad. True: Harriet Tubman was a Union Army cook, nurse, armed scout and spy during the Civil War. Also true: Harriet Tubman was a member of the African Methodist Episcopal Zion Church and credited her Christian faith as the primary inspiration for all that she did. Tubman wasn’t just using that as an expression. Her Christian education had taught her what Heaven really was, and she wanted that feeling of Heaven not only for herself, but also for the rest of her family and the hundreds upon hundreds of other slaves she brought to freedom. So, rather than stay safely in the North, she returned to the South. Again and again and again. Because of her religious convictions and relentless efforts to lead slaves to freedom, Tubman was given the nickname, “Moses.” What a fitting name! But Tubman’s Christian convictions reached yet further. In early 1859, Tubman managed to purchase a plot of land from Senator William H. Seward just outside of Auburn, New York. There she created a haven for her family and friends, where she lovingly tended to them. Tubman’s first husband had refused escape and stayed behind in the South. In 1869, she married a Civil War veteran named Nelson Davis and in 1874 they adopted baby girl named Gertie. In spite of financial insecurity, Tubman was generous with her resources. In 1903, she donated a piece of land to the African Methodist Episcopal Church in Auburn. In 1908, The Harriet Tubman Home for the Aged opened, and that is where Tubman spent the last years of her life. Injuries she sustained as a slave caused her pain and troublesome symptoms all her life, which continued to increase as she got older. She suffered much in her later years because of that. Tubman died of pneumonia in 1913 and was buried with military honors at Fort Hill Cemetery in Auburn. There’s so much more to Harriet Tubman than meets the eye. Whether or not it was a politically correct decision to put her face on the $20 bill doesn’t matter. What does matter is that she was motivated by her Christian faith – a faith she lived heroically all her life. Harriet Tubman, U.S. Treasury. Bookmark.